Decent road manners and a huge boot. Well equipped for the money. TDI 90 is the smartest buy. Awkward looks. Huge hatchback robs it of some rigidity. 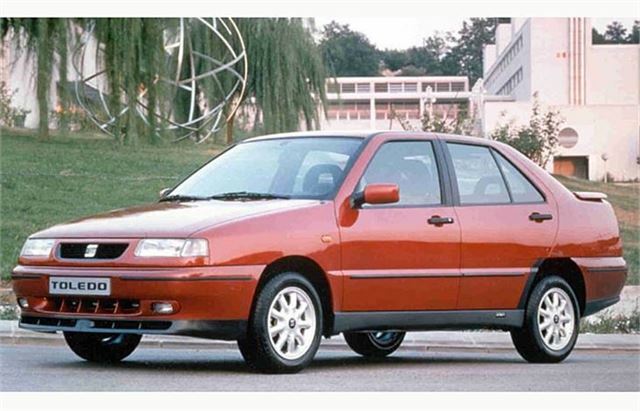 The Mk1 Toledo was the first Seat vehicle developed entirely under the Volkswagen Group. Based on the Mk2 Volkswagen Golf platform, it was actually larger than the equivalent Jetta with a 550-litre boot (complete with tailgate). Available in the UK from 1991, it was initally only availble with petrol engines, although Volkswagen's class-leading diesels were available towards the ends of the 1990s. Fun factor came courtesy of a 148bhp 2.0-litre 16v GTi. It was never a strong seller in the UK, though - a fact perhaps explained by a small dealer network and our preference for hatchbacks.